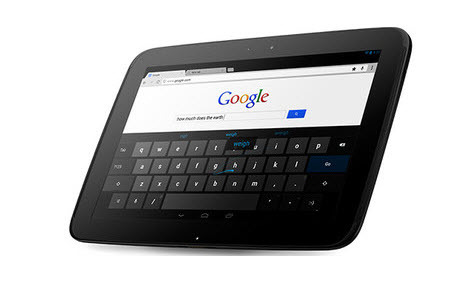 The ParanoidAndroid ROM is now released for Google Nexus 10 device. This ROM is a CyanogenMod kang with a unique hybrid mode that allows the users to select per-app DPI and layout settings. Full credits will goes to the XDA Recognized Developer jaybob413 who released this popular AOSP ROM especially for Google Nexus 10. Please make a note that this work is on progress so users definitely will find some issues. IMPORTANT : Before start to proceed, take backup of all your data. Because, there is a chance to wipe your data and follow the given below procedure at your own risk no promises this will not damage your device and take over your home. First, update TWRP recovery to the latest version. Next download the Google apps and ROM from here. Flash the ROM first, then gapps. Then Wipe the Dalvik & Cache and reboot the device and wait till it has completed. Please make a note that the first bootup can take upto 5 minutes, it will also restart once. Enter your Google Account info, press home when you encounter the black screen. After the quirky bootup is over, the ROM should work normally. Please do not restore the system apps, system data and Google apps. Because this can cause bootloops and other problems due to mismatches coming from CM to AOSP and moving from Android version 4.1.2 to 4.2.